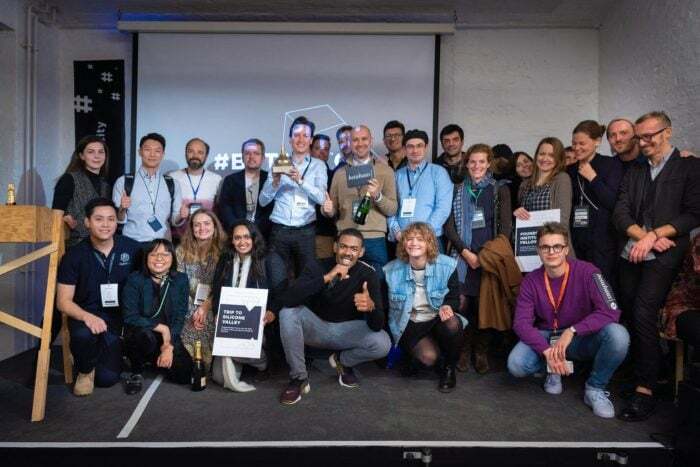 After winning the local round of the Sofia BetaPitch, the CozZo team flew into Berlin for the final battle during Investors’ Day. This coincided with the launch of CozZo on the German App Store. “We see Germany as a very promising market for our company, as the country has demonstrated a high commitment towards food waste reduction,” says Ivo Dimitrov, Founder and Chief Developer of CozZo. Ivo explains that if the food is highly perishable, you will get a strict reminder and the product will be red-flagged. If the food is just starting to lose its flavour but is still safe to eat, a green flag will appear on the screen, together with a gentle reminder. “This way, people will be more confident about using up the food they have, instead of binning perfectly edible food”. Afther the final, a new startup show, “Startup TV” invited us to pitch CozZo idea in 60 seconds.